In late June of 1776, delegates gathered from across the colonies to discuss the Declaration of Independence while determined continentals marshaled at New York to await an armada of red coats. 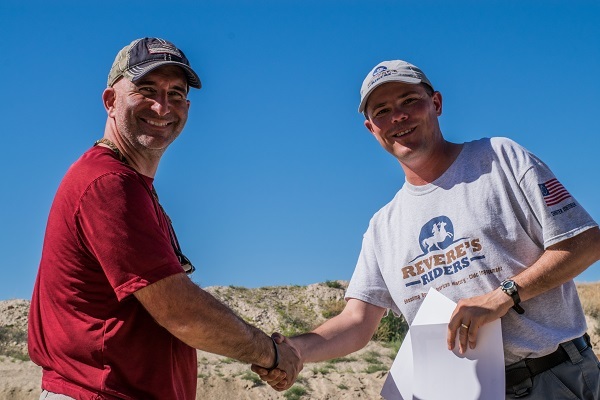 Over two centuries later, a band of shooters gathered at Nampa Rod & Gun Club to celebrate our Nation’s independence, learn traditional marksmanship and promote getting involved in the community. This weekend event was a hybrid of our Rifle 125 introductory class and Rifle 223. We spent Saturday morning on basic rifle marksmanship, which allowed us to avoid having a pre-requisite for the course. Saturday afternoon and all day Sunday we launched into carbine fundamentals. Interspersed throughout was history telling the true story of Paul Revere’s Ride. We also told the sequel to the events of April 19, 1775 — the Battle of Bunker Hill. It turns out that many of the engagements on Bunker Hill ranged from 7 to 100 yards, which exactly mirrored the distances we were shooting. Its humbling to realize what determined Americans did with muzzleloading black powder firearms while we learn the same skills with our modern carbines and optics! Shooters dry practice in the kneeling position. Over the weekend shooters had several chances to challenge our historical WW2-themed M1 Carbine course of fire as well as the modern carbine skills test. 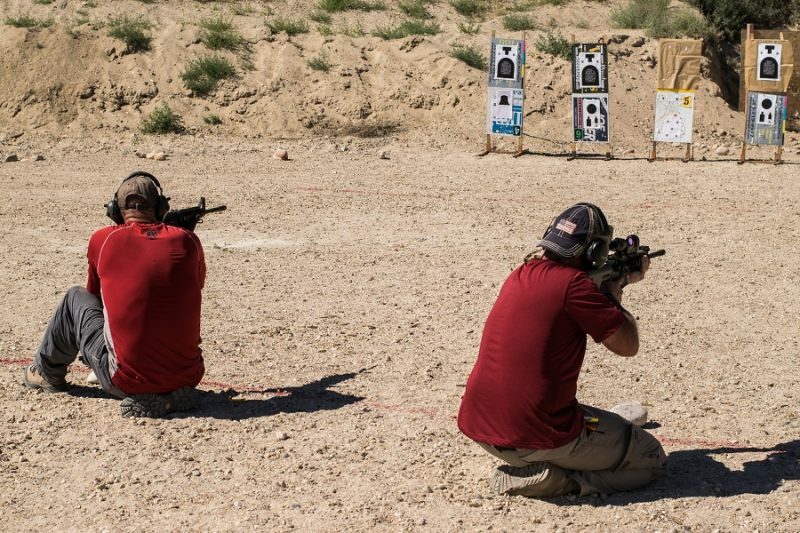 The modern carbine skills test is run in an NRA AR Challenge basic format and prepares students to tackle formal competition if they so choose. Shooters get their hits from a kneeling position. The qualifier requires hits from a variety of different positions under time pressure. 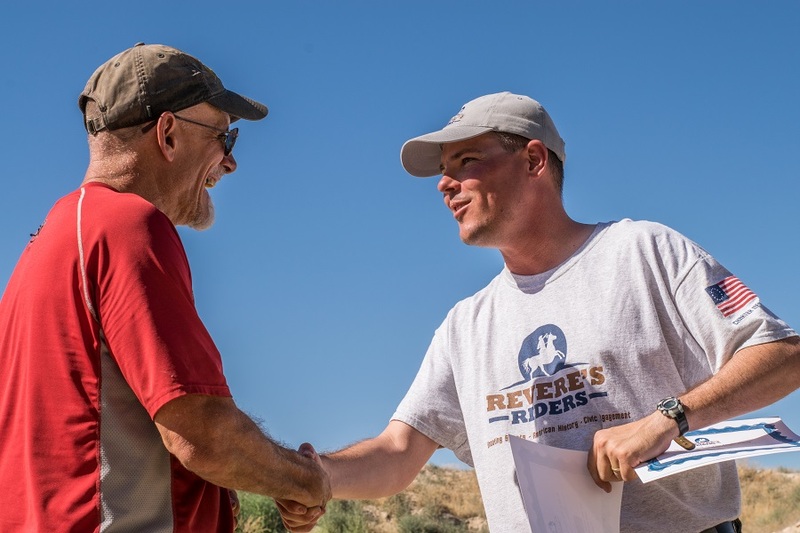 One of the unique aspects about Revere’s Riders is that our instructors “walk the walk,” and we want to give you a quick peek behind the curtain… We don’t ask students to do anything that we haven’t done ourselves. 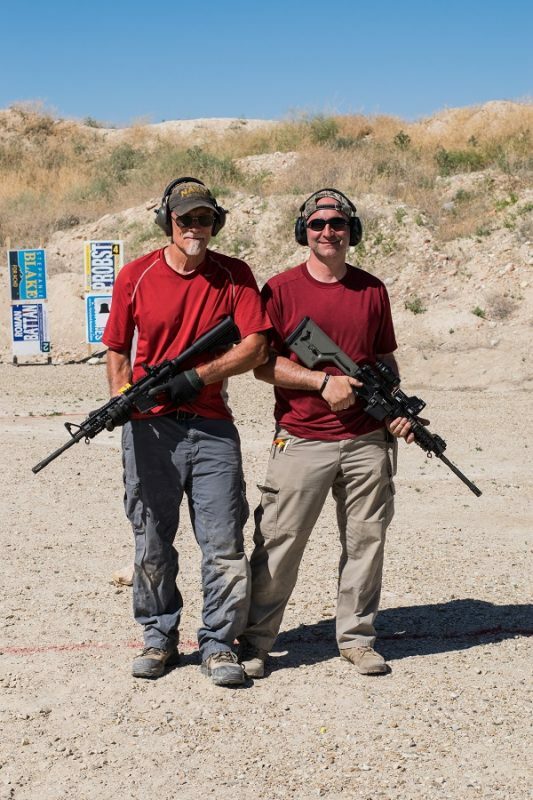 This was our first carbine event in Idaho so the lead instructor came in from out of state. 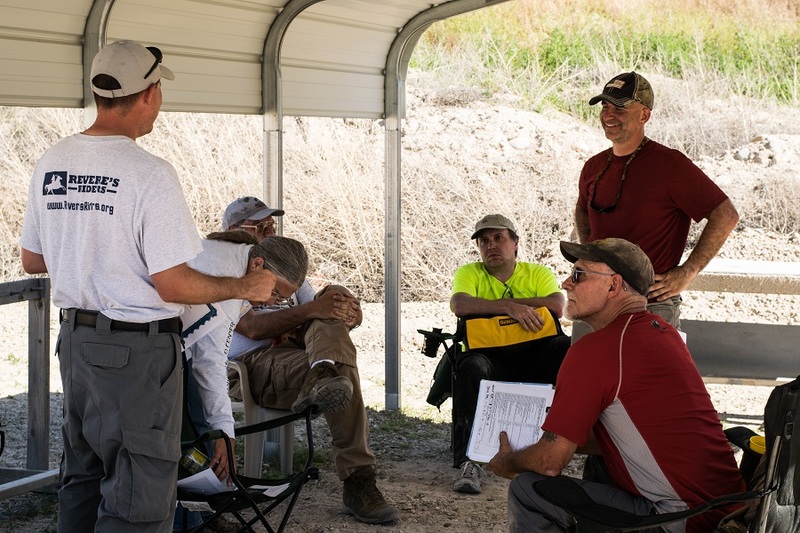 We held an instructor development clinic before the event so that the instructor team was familiar with safety procedures and would be ready to coach key skills. Over the weekend, our volunteer rifle instructors and RSOs took turns running the line, teaching basic rifle marksmanship fundamentals, coaching, and shooting themselves. Pat — who is an experienced riflewomen but new to the carbine discipline — quickly knocked out a sharpshooter’s score on the WW2 qualifier. 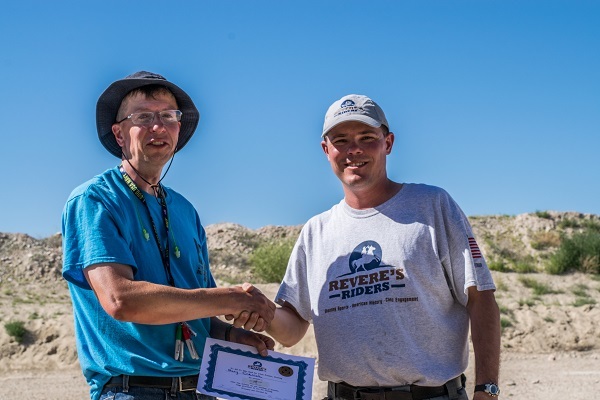 One of our RSOs, Gary, also put everything together to qualify on the carbine qualifier. It shows a lot of grit to take off the instructor hat and learn a new discipline as a student; I couldn’t be prouder of the professionalism and dedication of the all-volunteer cadre in Idaho. Of course, we are even prouder when our students improve, and improve they did! Over the weekend we take a few progress checks and were happy to see both individual and collective improvement. 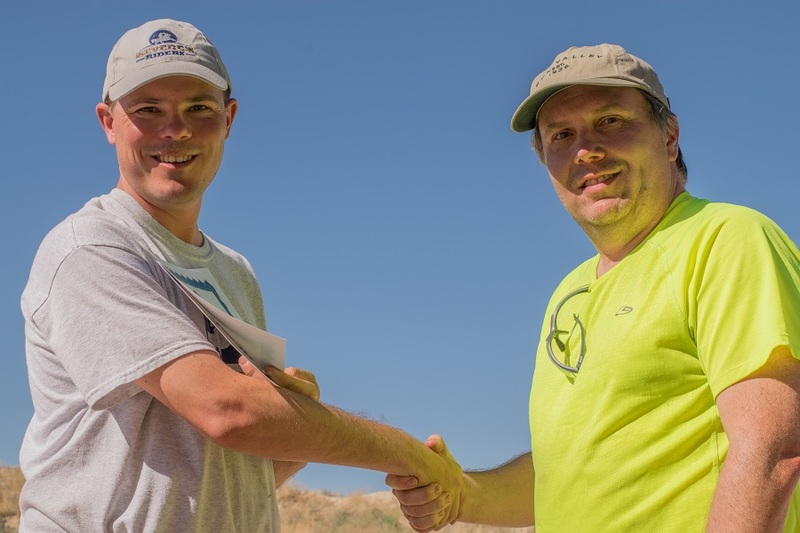 We were also happy to recognize a few Marksmen over the weekend. It was great to see the improvement in skills and the growth in confidence over the weekend. Finally, we had a great chance to discuss civic engagement. Tim and Pat work the polls on election day and shared their personal experiences with facilitating participation in local government. We had students who work on search and rescue teams share their experiences. We took breaks under the sunshade to tell history and discuss civic engagement. The breaks in the shade kept everyone fresh despite the summer heat. All told this was a fantastic weekend. Thanks to everyone who came out to make this event successful! We are also very appreciative of the Nampa Rod & Gun Club who were fantastic hosts. Finally, thanks to Joe from Boomershoot who helped us spread the word. This dad-son team came out to celebrate father’s day together. Like what you read about this event? 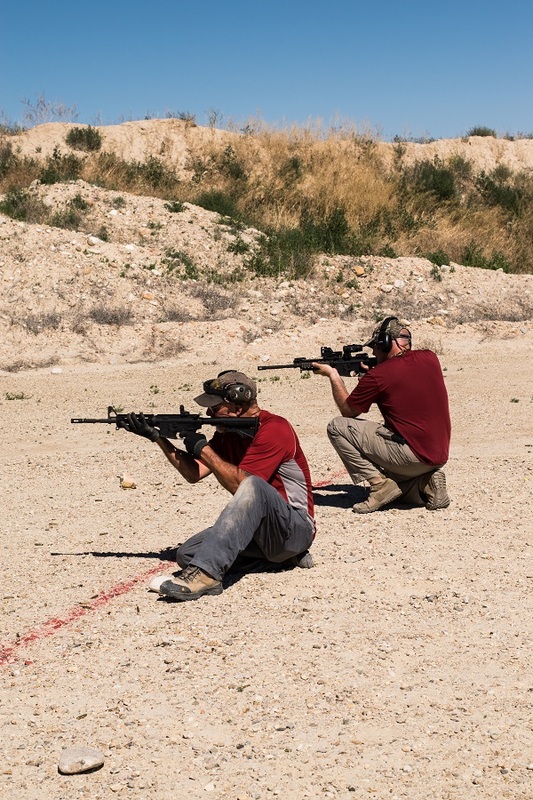 Check out an upcoming carbine clinic near you!